Abha is an experienced intellectual property attorney specializing in patent preparation and prosecution. She has extensive experience in electrical and electro-mechanical arts, both as an engineer and a patent practitioner. Abha provides her clients with knowledgeable advice, counseling and training on intellectual property matters. She assists clients of all sizes on projects ranging from the prosecution of a single patent to the development and maintenance of an entire patent portfolio. When faced with a potential patent infringement matter, Abha’s clients count on her reasoned opinions to determine the best enforcement strategy. Abha’s experience with patent law is truly international in scope. Prior to joining Burris Law, Abha spent over six years practicing with a national intellectual property firm. 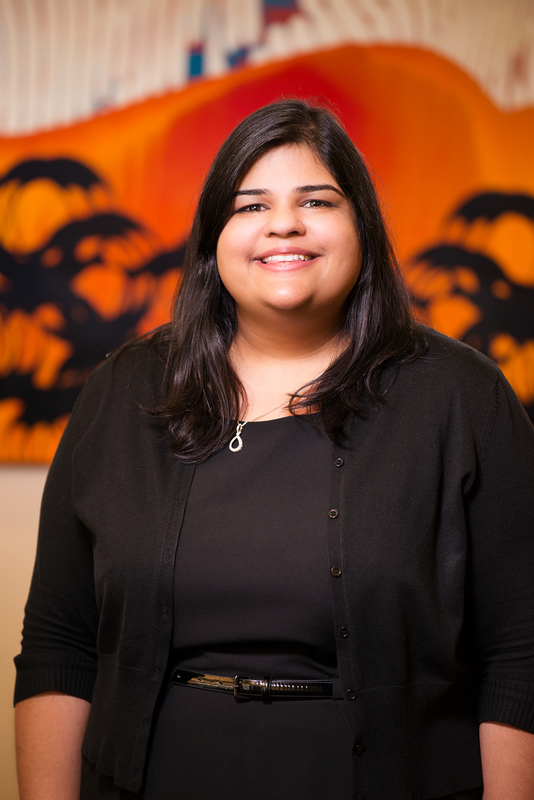 During that time, Abha spent two years overseas serving as law firm liaison and in-house counsel to a Tier 1 automotive supplier where she instructed, trained and counseled her client on international patent practice. Abha’s engineering experience includes nearly five years she spent working for a Tier 1 automotive supplier as a product engineer and test engineer. Prior to joining Burris Law, Abha was with a National IP boutique for over six years, which included a position as in-house counsel/liason to a Tier 1 automotive supplier for two years. Abha is also an experienced engineer with almost five years of experience as a product engineer and test engineer at a Tier 1 automotive supplier.